T20 cricket has revolutionized the game and batting, in particular, has become a lot more inventive and effective. Batsmen have found ways to score runs and hit a lot more boundaries. Power hitting has become a part of the game and T20 cricket, in particular, has seen the evolution of power hitting. The Indian Premier League (IPL) has seen multiple batsmen dominate and strike numerous sixes. Big hits have become a regular part of the limited-overs game and the fans simply love watching the ball fly over the ropes and into the stands and over them as well. In 11 seasons of the IPL, a staggering 7379 sixes have been hit so far. This amounts to an average of almost 671 sixes per season which is about 11 per game. Hence, six-hitting has been the norm. 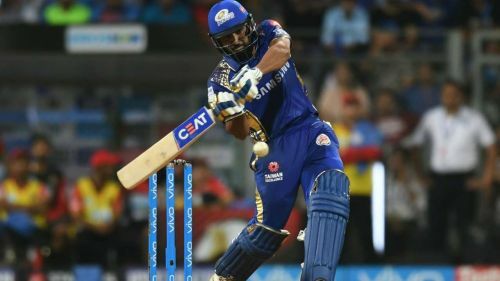 Thus, with the 12th edition of the IPL not too far away and set to be underway in a few days, let’s rewind and look back at the batsmen with most sixes in the history of the IPL. The Indian limited-overs vice-captain is one of the most successful IPL captains. Rohit Sharma is one of the only two captains to have lifted the IPL title thrice. However, as a batsman, Rohit Sharma isn’t far behind. He is the third highest run-getter in the history of the IPL. The Mumbai Indians skipper has amassed 4493 runs in 173 matches. He has an average of 31.86 and a strike-rate of 131.02. One of the things Rohit Sharma is known for is his six-hitting ability. He is amongst the top six-hitters in international cricket (352 sixes across all three formats). He is also ranked fifth on the all-time six-hitting list of the IPL. He has struck 184 sixes so far and looks hungry for more. He could well climb to the second spot this IPL as there’s not too much difference between him and the second spot. Follow Sportskeeda for all the updates on IPL 2019 schedule, news, points table, live scores, orange cap, purple cap and fantasy tips.